If you’re just starting out or you only get a few followers a week, you can easily follow your fans back again. Doing the job on your own lets you engage with your fans more readily; you can do things like send customized messages, say thank you, let them know what your Twitter feed offers them and ask questions of your followers. This level of engagement is going to take some time-at least a few minutes per person-but it’s worth it because you can build a loyal foundation of fans and even make some friends. All of this lets you build really stellar brand awareness and if you do a good enough job, your fans will refer you to others. Word of mouth is the best form of PR out there and it’s absolutely free! Auto-tweeting is debatable; some people find it rather despicable because it shows a lack of humanity and others point out that if you’re getting a couple hundred new followers a day, you really don’t have the time to thank them all personally! Automated following programs lets you follow new followers without you having to do anything. However, you should still make sure to include a persona message for each follower that is creative, natural and personal in tone. Refollow: Refollow lets you organize your old and new followers as well as things like accounts that have mentioned you. You also get 100 free unfollow/refollows before you have to pay. 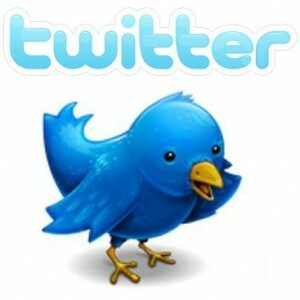 Tweepi: A goofy name, but this is an all in one tweeting platform, making it very useful. You can perform bulk follows, you can view stats and send Tweets and you can do it all for free. Friend or Follow: This is a pretty basic tool and it will do -what you want it to do: friend or follow. But you have to be a Gold member to follow or unfollow in bulk. Twitter has a built in function called ‘Lists’ which allows you to focus your attention on smaller groups, follow people back and weed out bots or accounts which really care nothing for your company. It’s incredibly easy to use too: just set up your list (public or private), add your followers, and then pay attention to them! A successful Twitter presence is still based on the same thing every successful communication tool is: interactin. By following your followers, you show that you care about what they are doing, that you notice them and that you are worthy of their attention. With a range of easy tools to help you do just that, you really have no excuse to ignore this aspect of business building!